ROLLS BEARING LIMITED has always attached great importance to training of sales staff expertise, commitment to improve customer satisfaction, increase the added value of products, meet or exceed customer expectations, make each salesman can be customers professional bearing technology consultant.At the same time, ROLLS BEARING LIMITED has always attached great importance to the moment of mutual trust and win-win cooperation with industry colleagues. 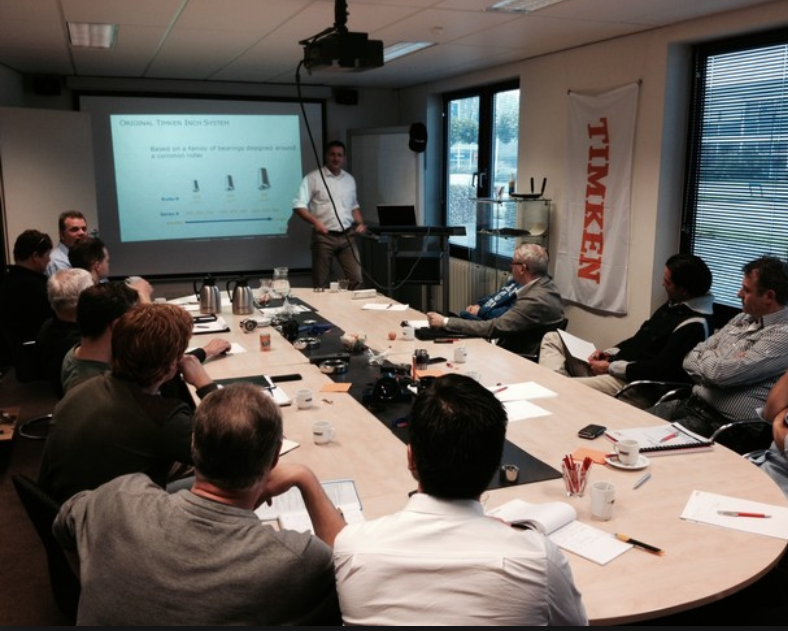 ROLLS BEARING LIMITED has launched a two-day about the basic knowledge of TIMKEN bearing products special training, the company sales colleagues and invited to participate in training the customer a total of 60 people attended the training. Training, each lecturer TIMKEN all product introduction, ball bearings and arrange ushering ball bearing, spherical roller bearing, roller bearing unit, arrange ushering cylindrical roller bearings, bearing model analysis and transformation of the value of TIMKEN and selling their made detailed slightly proper theme, let the presence of training personnel with TIMKEN present product series have a preliminary concept.And, By comparing the TIMKEN existing products and the advantages and disadvantages of similar products from competitors, a more specific image reflects the TIMKEN "Stronger. By the design." concept, let everyone on the distribution of TIMKEN brand products have a more profound understanding and the understanding. Training after the end of each training personnel gets into a thick stack of bearing product reference book, note we can in daily work make the fullest use of these valuable resources to provide more professional service, win the trust of customers in business contacts and appreciation.Training staff have said "the training harvest quite a lot, get a valuable opportunity to communicate with industry colleagues and supplier site, deepen their understanding of bearing industry base."